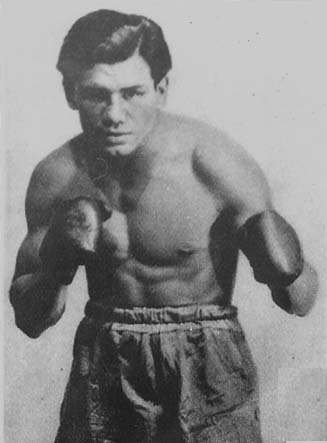 Battling Shaw, real name Jose Perez Flores, was Mexico's first world champion. By his record, he appears to have been one of the most inept world champions ever. He won the junior welterweight title from Johnny Jadick on Feb. 20, 1933 (W-10). Shaw earned this title shot 13 days after dropping a 10 round decision to perennial fringe contender Joe Ghnouly. After winning the crown he won two non-title bouts before losing the title to Tony Canzoneri in May 1933 (L-10). From that point on Shaw did not compete on the championship level. As with many other champions, Shaw's early record is still unconfirmed, but he made his professional debut around 1927, fighting an estimated 90 times through 1934. He announced his retirement following a series of losses in 1934, and in July 1935 he was reportedly working as a taxi driver in Mexico City. His last fight is believed to be a 10-round loss to David Velazco in 1938. He retired at age 28. © 1996 The Cyber Boxing Zone. -Some sources report "Laredo, Tx"